Welcome to our range of Ant Pest Control Products and Supplies that can be seen below this short write up. Read here: How to Get Rid of Ants. If you prefer to order by telephone or need any advice, please give us a call on 03330 119703 UK. 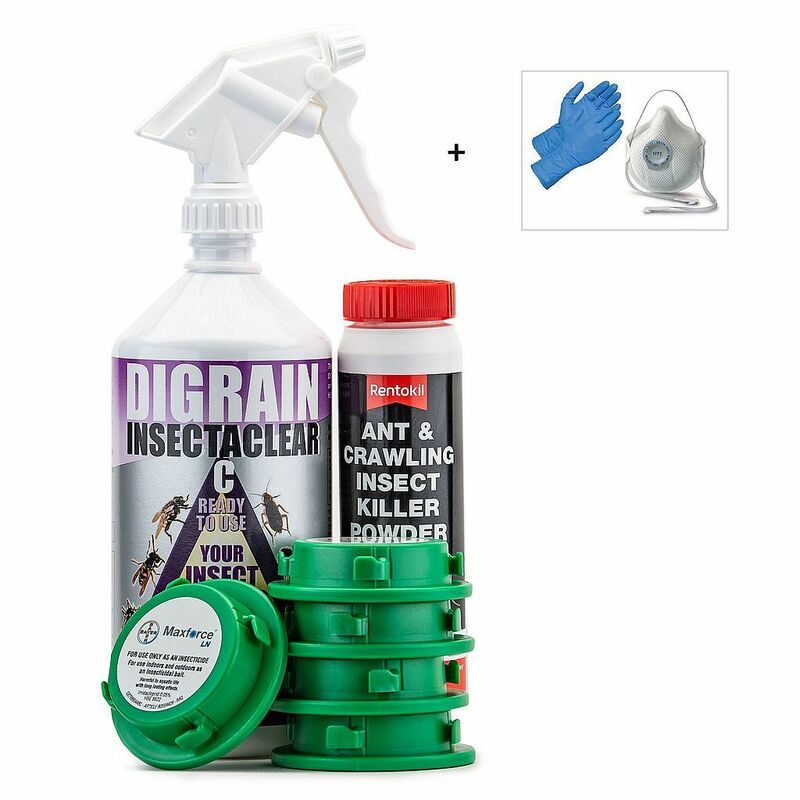 We supply the best and most effective DIY Ant pest control products to buy online for delivery throughout the UK, France, Italy, Spain, other parts of Europe and the rest of the World. There are different types of ants that can be found in the garden and sometimes in the house - Black Ants, Black Flying Ants, Red Ants and Pharoah Ants. Ants occur naturally in the ground and multiply fast building nest colonies in the garden and sometimes in the foundations of buildings from where they can come inside the home looking for food. We have put together three comprehensive Ant Kill and Control Treatment Kits, as well as other pest control products which include, Electronic Ant Repellers, Insecticide or Organic Ant Killing Sprays, Insecticide or Organic Ant Killer Powders and Ant Poison Bait Stations. Our products have been chosen for being the best and most effective in the treatment and eradication of garden and household ants. 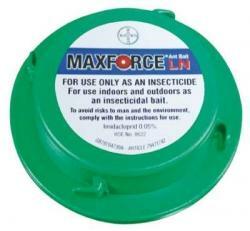 These pest control products will kill or repel, stop and get rid of ants found in the garden, home or business. Ant Kill and Control Treatment Kit 1 is for use indoors or outdoors to kill, stop and get rid of black, red or flying ants. 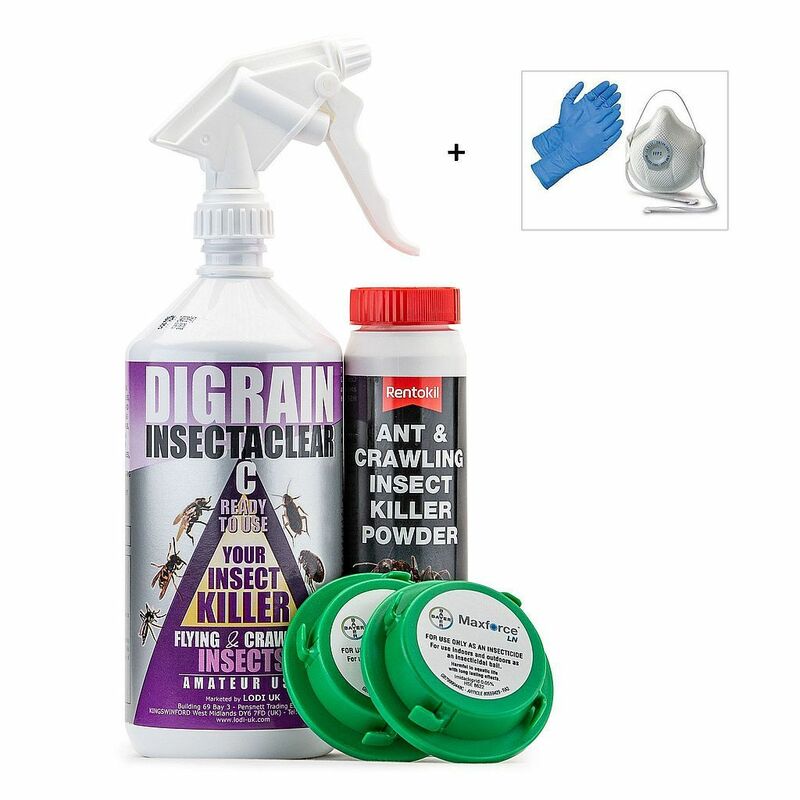 Ant Kill and Control Treatment Kit 2 is a product combination pack which contains all you need to kill, stop and get rid of a problem with black garden ants, red biting ants or flying ants, found in the home or garden. Organic Ant Kill and Control Treatment Kit will eliminate and eradicate black, red and flying ants found in the home or garden. 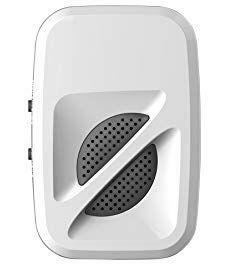 Electrotronic Ant Repeller 2500 is a whole house plug in device for humanely stopping and getting rid of ants. For indoor use only. This unit covers up to 2500 square feet / 232 square metres. 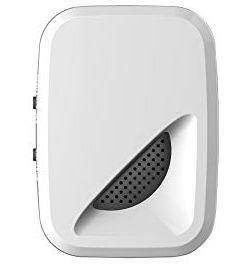 Electrotronic Ant Repeller 4000 is plug in device for indoor use only. This unit will cover an area of up to 4000 square feet / 371 square metres, such as the size of a 4 to 5 bedroom house or small busines unit. Ant Kill and Control Insecticide Spray 1 Litre is an effective, residual product to kill and stop a problem with black, red or flying ants. Ant Kill and Control Insecticide 5 Litres is for use indoors or outdoors to kill and get rid of problem black, red or flying ants. 1.5 Ltr. Ant Insecticide Hand Held Pressure Sprayer can be used to spray treat ants with our liquid ant insecticides sold in 5 litre containers. 5 Ltr. Ant Insecticide Pump Action Pressure Sprayer has a shoulder strap for easy use of our Ant Kill and Control Insecticide for sale in a large 5 litre container. Dethlac Ant Killing Lacquer Spray Aerosol is a insecticide treatment that kills ants and is for use inside the home or outside in the garden. 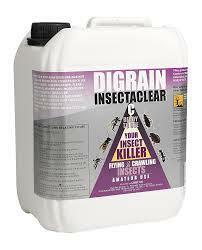 Dethlac kills and gets rid of problem black, red, pharoah and flying ants. Rentokil Ant Killer Powder is a fast acting insecticidal dust in a 150g puffer pack. Kill and stop an infestation of black, red, pharaoh or flying ants. Ant Killer Poison Bait Stations x 5 contain a very effective gel poison and lure to entice ants into the station. The ants then carry the poison gel back to their nests and the ants and nest are destroyed. 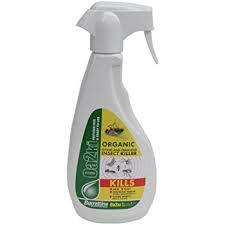 OA2KI Organic Ant Kill and Control Spray 500ml is a natural product for treating, killing and getting rid of black, red, pharoah and flying ants found in the house, business or garden. 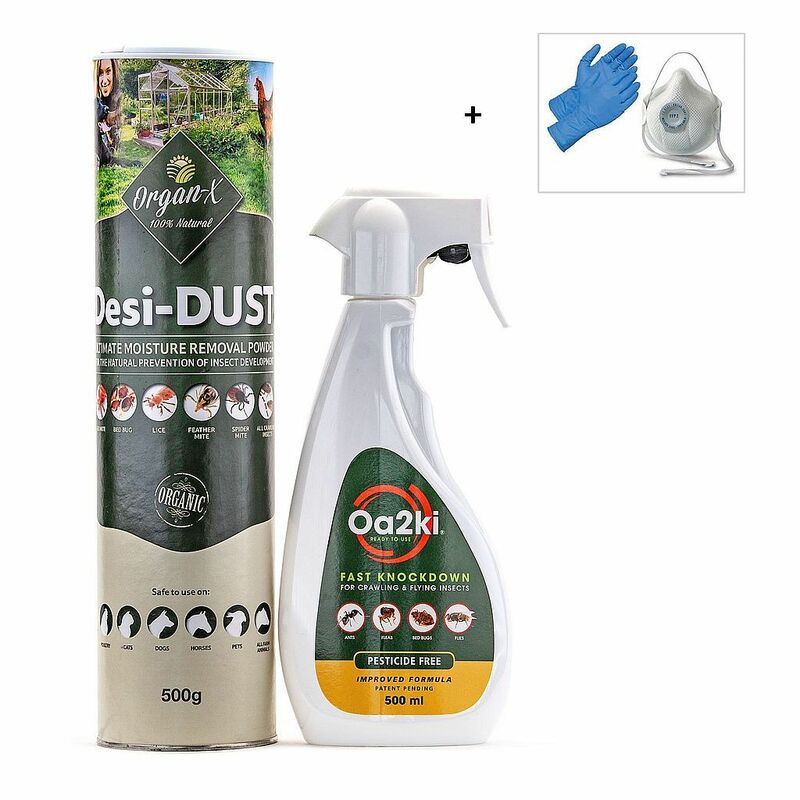 OA2KI Organic Ant Kill and Control Spray Powder for a natural but effective treatment to eliminated black, red, pharoah or flying ants found inside the house or outside in the garden. Organic and Chemical Free Ant Killer Powder 500g is a completely natural and non toxic product for killing, stopping and getting rid of black, red, pharaoh and flying ants found in the home or garden. 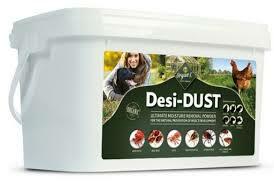 Organic and Chemical Free Ant Killer Powder 2kg. is a completely natural and non toxic product for killing, stopping and getting rid of black, red, pharaoh and flying ants found in the house or garden. Gilmour Ant Killer Powder and Dust Blower is a handheld professional applicator invaluable in dispersing ant killing organic or insecticide powders into holes, cracks and crevices.